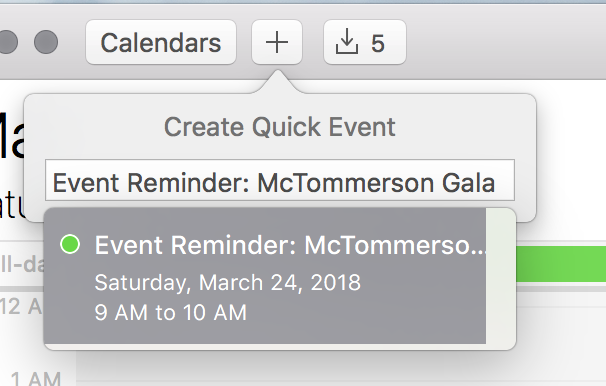 Calendar reminders are a nice addition to your design when sharing an event. 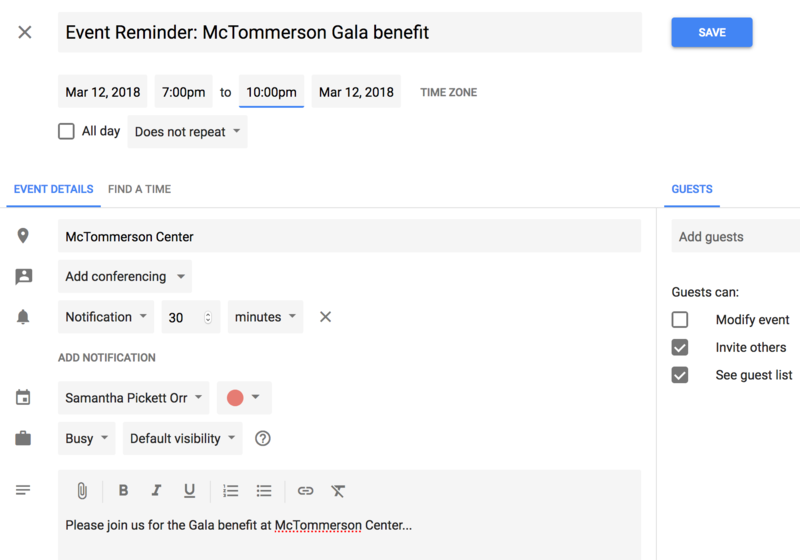 Recipients can click on the calendar reminder and save important dates to their calendars. Chances are you probably don't know all the calendar platforms your recipients will be using. 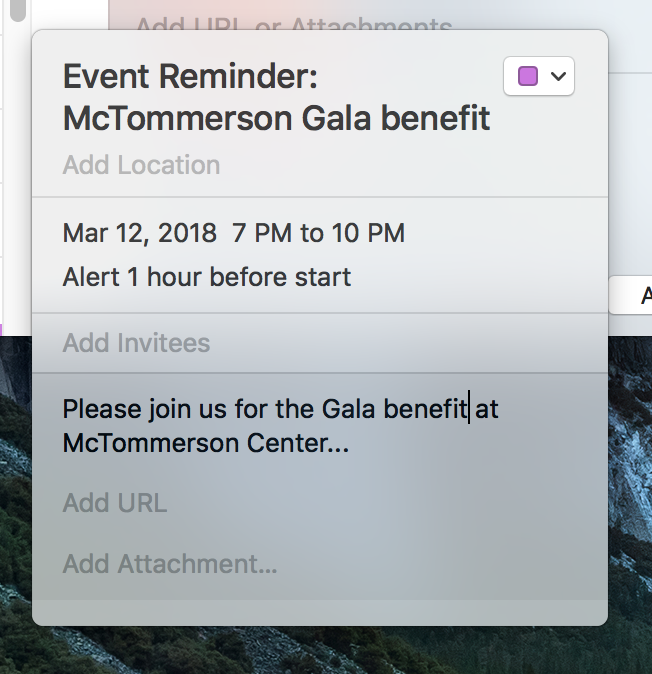 A different event reminder must be provided for Outlook, Apple, and Gmail. 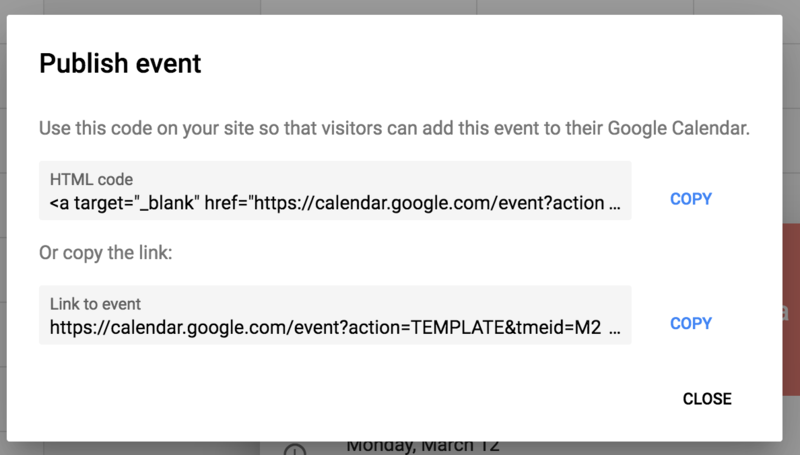 We'll review how to create an event reminder for each platform and then the next two sections will review how to host and add the link to your design. An Outlook reminder is an ics file type. As a side note: This file type can be saved from any mobile device and saved to any calendar from the mobile device. We still recommend providing all three file types to cover all your recipients. 1. Create a New Appointment. Fill our the appointment with all the applicable event information. 2. 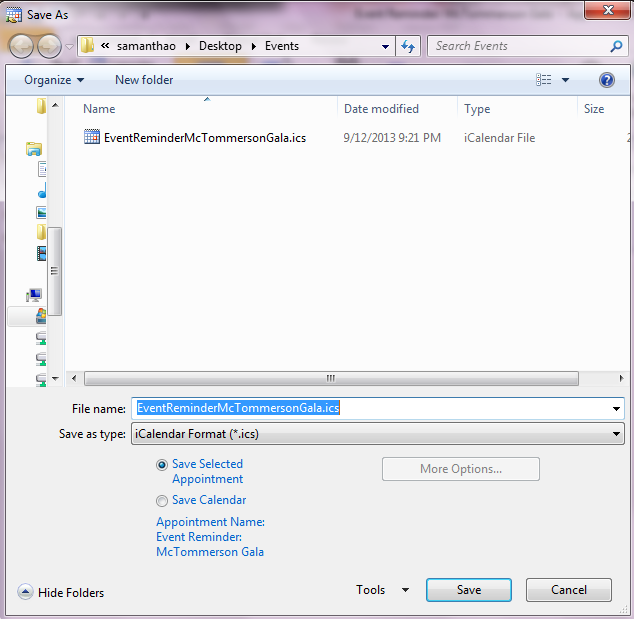 Under Save As, select Save As type “iCalendar Format (*.ics)”. This defaults to “Save Selected Appointment”, make sure to have this radial selected so that you aren’t saving out your entire calendar. Tip: If possible, it's best practice to avoid spaces and special characters in your file names. An Apple reminder is also an ics file type, but you have to create it from iCalendar for it to work seemlessly. 1. Open iCalendar and select the + icon in the top nav to add your event. 2. Then double click on the event to add in details like location and other important details. 3. Click on the event in the calendar and then drag it over to your desktop to save it as a “iCalendar Format (*.ics)”. This is all you have to do to export the calendar reminder from iCalendar. A Gmail reminder is also an ics file type, but you have to create it from iCalendar for it to work seemlessly. 1. 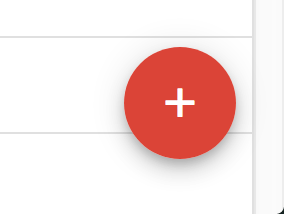 Open Google Calendar (logged in to a specific Google account), and select the + icon in the lower right corner. 2. Enter in all the details for the event: title, location, date/time, and description. Click Save when done. 3. Click on the event from the calendar and from the menu select Publish Event. 4. Copy the link to your event. Host your saved .ics file. Host the saved .ics files for Outlook and Apple on your web server or in another publicly accessible location. You can upload your file into WordFly’s Media library. Copy your calendar file link from your media folder. In your Modern Editor email design, add your calendar links it to an image area or to a text link. 2. Click on an image block from the preview panel (right side). 3. Insert your calendar link in the “href” field from the editor content panel (left side). You can also add a calendar link to text areas of your design. There are two options to add your image in a text editor. Click on any text block to open the edit content panel (left side). In the text editor, highlight a word or image, then select the link icon to add the calendar link address.